GEO Junk Removal is a locally owned and operated Junk Removal company that provides complete Junk Removal and hauling services in Marblehead, MA. We will remove any clutter, junk or trash from your home, garage, basement or attic Call us to remove any unwanted items from your attic, basement, garage or closets. We provide complete removal of your unwanted junk, debris or clutter. 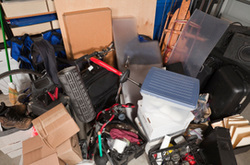 Our friendly & reliable staff will take care of all the junk removal, moving, loading and will also clean up afterwards. After we remove the junk and haul it away we either broom sweep or rake your property. Got a yard full of junk piling up? Give us a call and we will remove all that yard waste, junk, debris or garbage. If your attic is overflowing with years of accumulated unwanted junk then leave the dirty work to us. We will carry all your unwanted clutter down the stairs and on to our truck and haul it away so save your back and call us today! Geo Junk Removal specializes in Junk Removal & Hauling in the Marblehead, MA area for residents and businesses. We remove whatever type of trash you have.